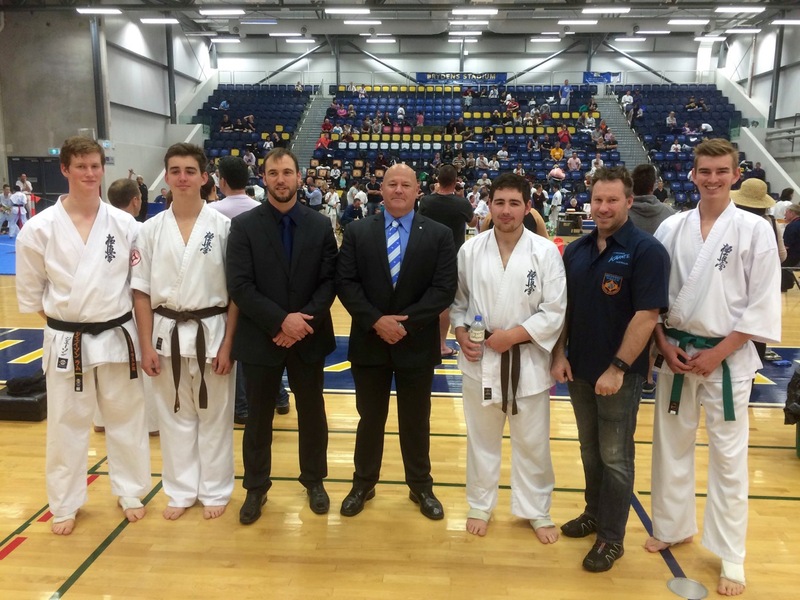 KIMAA karateka from Turramurra and Annangrove dojos competed in the Australian Kyokushin Karate Association NSW State Tournament on May 22. 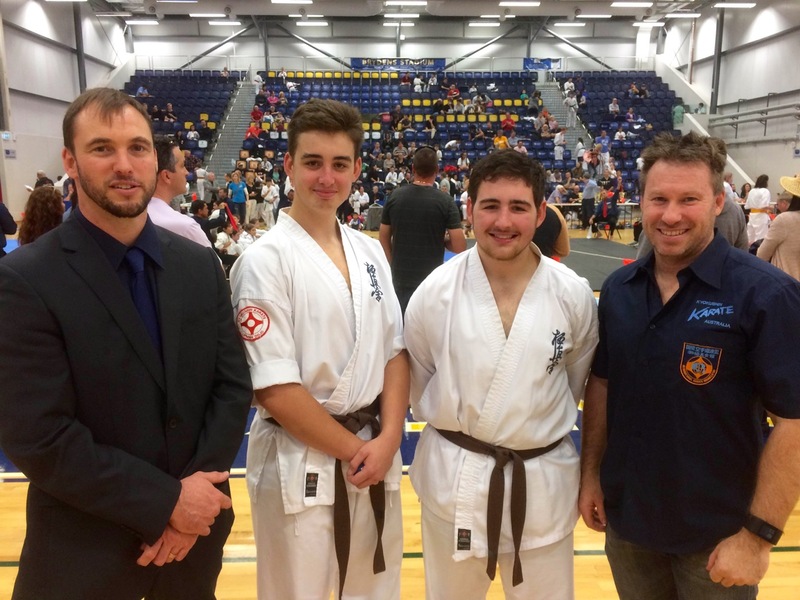 Sempai Jason Lambe (1st Dan Kyokushin) and Christian Girdham competed from Annangrove Dojo, while Angus and Victor Sweeney represented Turramurra. 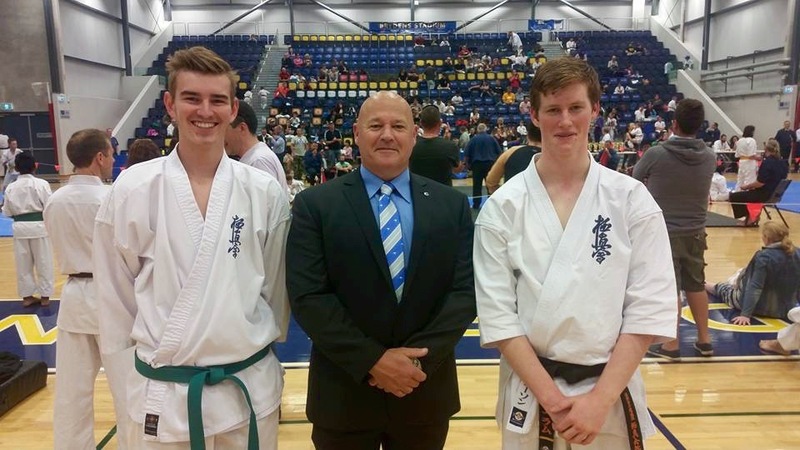 Christian Girdham and Sempai Jason Lambe with Shihan Rick Cunningham. Acting as coaches and other support on the day were Shihan Rick Cunningham, Sensei Mark Shelmerdine, Sensei James Sidwell and Sensei Don Cheong. Victor and Angus Sweeney with Sensei James Sidwell and Sensei Mark Shelmerdine. Sempai Jason, Angus and Victor all fought in the COLTs heavy weight division while Christian fought in the COLTs light weight division. Sempai Jason and Victor were up against each other for their first fight. Victor lost to Jason by a half-point due to a solid kick to the ribs, but the round still went to completion. Angus was up against a black belt in his first round. Angus lost by a half-point when he took a jodan mae geri to the face, but continued the fight to completion. Sempai Jason then went up against the black belt who had bested Angus. Sempai Jason fought well but also lost by a half-point due to a head kick, yet he finished the round all the same. These three had fought in the AKKA state titles last year and in others, but for Christian, it was his second tournament. He fought well for his second time, but ultimately lost his round due to an ushiro geri kick. Well done to all competitors for turning up and representing KIMAA. Sempai Jason Lambe, Victor Sweeney, Sensei James Sidwell, Shihan Rick Cunningham, Angus Sweeney, Sensei Mark Shelmerdine & Christian Girdham.